do you believe in your children? A must read. Our children our not frozen in time. Assuming the future is foolish. Make room for progress, especially when it’s not at the speed considered “normal”. Instead of “I’ll believe it when I see it”, turn that around – You will See it when you Believe. Ever read something, like it, move on, then read it again months later and be absolutely gobsmacked by it? Ever, upon the second reading, realize that it will take a third and then a fourth, and heck, maybe a fifth because you are so compelled by its message that you have to be absolutely, positively sure that you’re not just reading it but absorbing it, internalizing it, incorporating it into who you are and what you do and how you move forward? That’s what happened last week when, months after reading it for the first time, I stumbled across Sparrow Rose Jones’s post, Do You Believe In Your Children? It’s hard not to want to rush people on the journey to where you are. The journey is personal, and we must work to not scare others off the path when they’re not where we are. 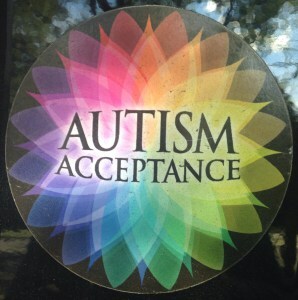 Yesterday, I wrote a post detailing a conversation that I’d had with an autistic man regarding the Autism Acceptance magnet on the back of my car. If you haven’t yet read it, I’d be grateful if you’d take a moment to do so before continuing so that what follows will be in context. Read the post here. If only progress were a rolling snowball instead of a glacier moving. Please note: What follows is my best attempt to recall a fair amount of dialogue. While I’m pretty confident in my memory thereof, it’s certainly fallible. On the way back to work from Katie’s graduation yesterday, I stopped into the gas station (that’s petrol for you folks across the pond) to fill up. When I got out of the car and got started, the attendant came out and stood behind my car. “That’s weird,” he said. “That,” he said, now pointing to the magnet. “I don’t understand that,” he added. Yes to everything ischemgeek wrote. As I said on Tumblr, white people must not attempt to deny the racism of that action. White people must not scapegoat people with mental illness and refuse to take a good hard look at the culture that bred that hatred in the shooter. The Charleston massacre was not about mental illness, it was about racism and white supremacy. Additionally, I would strongly recommend that anyone with the resources to do so donate to the families of victims and to the survivors, so that they do not have injustice compounded upon atrocity, and do not have that horrible crime ruin their finances in addition to hurting them, traumatizing them, and/or killing their loved ones. Lack of knowledge/understanding of another person’s lived experience in no way invalidates that lived experience. The inspiration for this post emerged somewhat tangentially to an incident on Twitter several months ago, in which a pair of parent bloggers decided that publicly posting sensitive and humiliating information about their autistic teenager was a great thing to do for awareness. Plenty of other people wrote or responded to the inciting incident, so I don’t really feel the need to address it much further. But something else happened in the aftermath that I actually do think deserves to be talked about more. It’s not even really about autism or disability itself as much as it’s about language deprivation and identity and the denial of minority experiences as genuine.